Elegant Shoes There are 33 products. 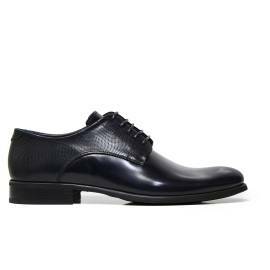 The beauty is in the elegance and a nice tailleur with shirt and a necktie, strengthened and complete by a classic shoe with dark skin, without every dress will be incomplete. 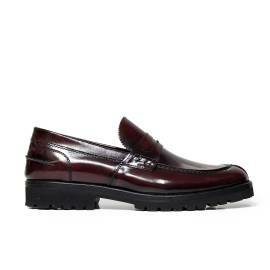 The classic shoe is an excellence, a shoe really love from everybody, in fact the classic style is really loved by the man combined to any look, lately it's fashion combine with a look casual or sports that generally are loved by the youngs, the classic style viewed as the way to dress is a different aspect. In the modern era we lose the habit to dress in elegant way, in fact we need always to dress in practical way that fits good in every occasion, also we can talk about the charm of a man mature, reflect a lot the classic style realle loved from the women, no surprise, thanks to an outfit very broad you can find your shoes that fits for you. 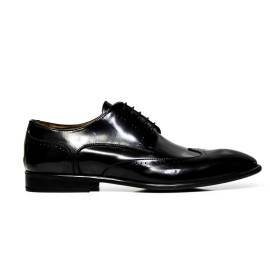 The elegant shoe is the most loved, fits to many style, a shoe always elegant. For a man in career can't miss all the elegance that a tailleur dress can give, that represents the mature man an very sure of himself and professional. 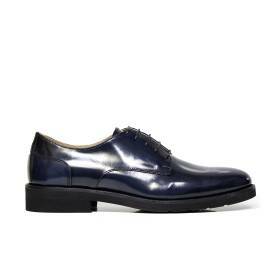 The classic clothing is really loved, can be used in many occasions, if combined with a necktie or papillon, for sure the right shoe gives a style really impeccable. 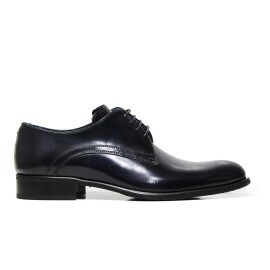 Instead regarding a blue laced shoe, it's more, you need more care. If the black is the classic color, the blue is not bad, ca be used in some occasions, ceremony, the ocean blue is very elegant. But you need to be careful, the combination of blue and black is better to avoid. Discover the needs to drees, and choose your classic shoe for man with a simple click, come at your very quickly!